It's true! 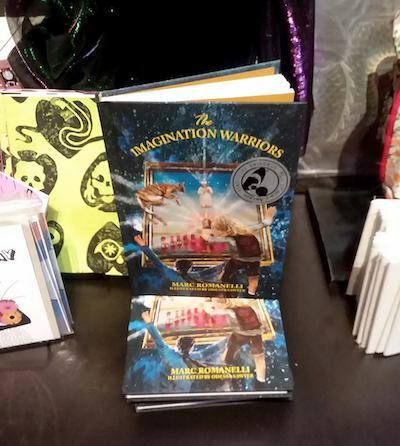 The Imagination Warriors is now available at the Meow Wolf Santa Fe gift shop! If you've been, you know it's the perfect venue for a book that takes its readers on a journey with psychic cats, strange paintings, investigations across time and space, and heaps of, well, IMAGINATION. Thanks, Odessa Sawyer (who illustrated the book!) for the snap!